Skype conference with Spanish and Chinese students and Simone Liebster. Skype conference with Simone Liebster and 18 students and members of the community. The Arnold-Liebster Foundation contributed classroom resources for the Teacher Workshop: Propaganda in the Third Reich. 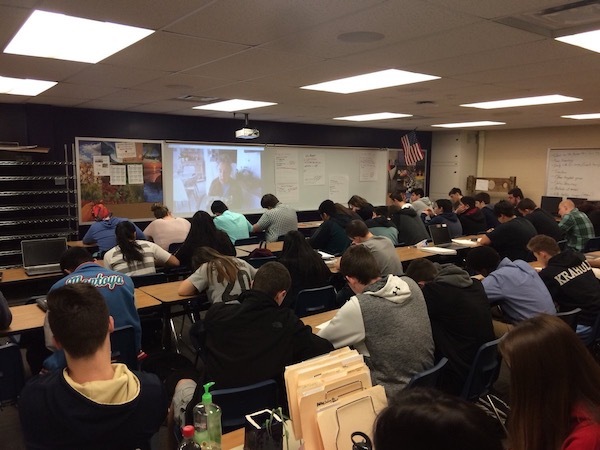 Skype conference with 29 10th-12th grade students and Simone Liebster. 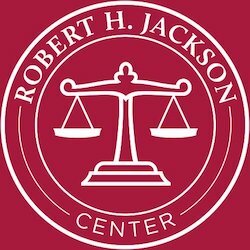 The Robert H. Jackson Center hosted a two-day event “Canaries in the Coal Mine of Human Rights: Seventy-Five Years After West Virginia v. Barnette” commemorating the 75th anniversary of the United States Supreme Court decision in West Virginia State Board of Education v. Barnette (1943). 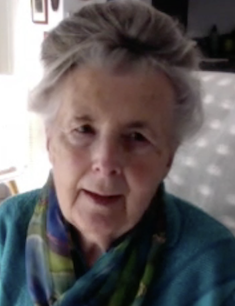 Simone Liebster was interviewed by Skype about her experiences as a survivor of Nazi persecution. 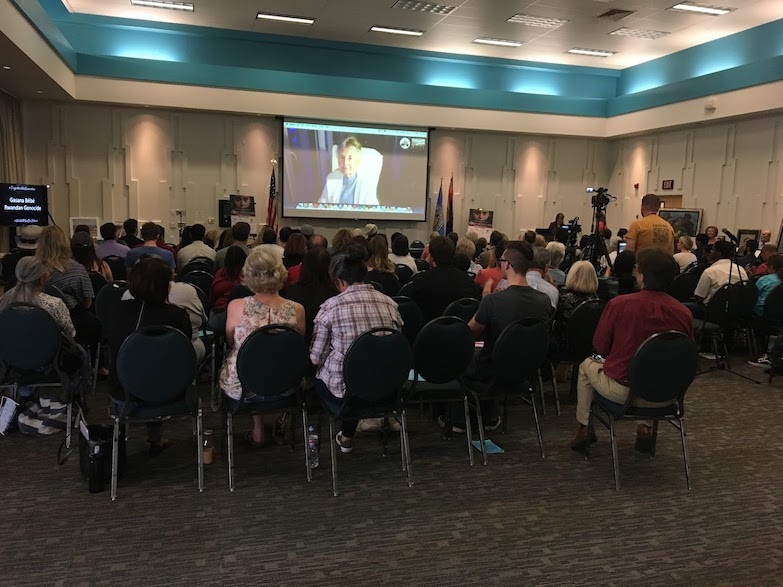 Skype conference with 18 students and members of the community. Skype conference with 200 8th grade students and Simone Liebster. Skype conference with 19 Korean students and Simone Liebster. The conference theme was “Uncovering History: Reasoning and Inquiry in History Education.” Kristin Dickman Walter and Renee Ochsner’s session “Standing Out and Standing Up in Nazi Europe” featured an interview with Simone Liebster. An exhibit table provided classroom resources. 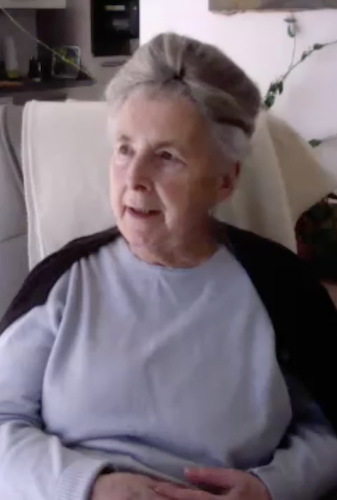 Skype conference with 31 residents and members of the book club and Simone Liebster. Skype conference with foreign exchange students and Simone Liebster. The students were from Russia, Ukraine, South Korea, China, Thailand, Taiwan, and Morocco. 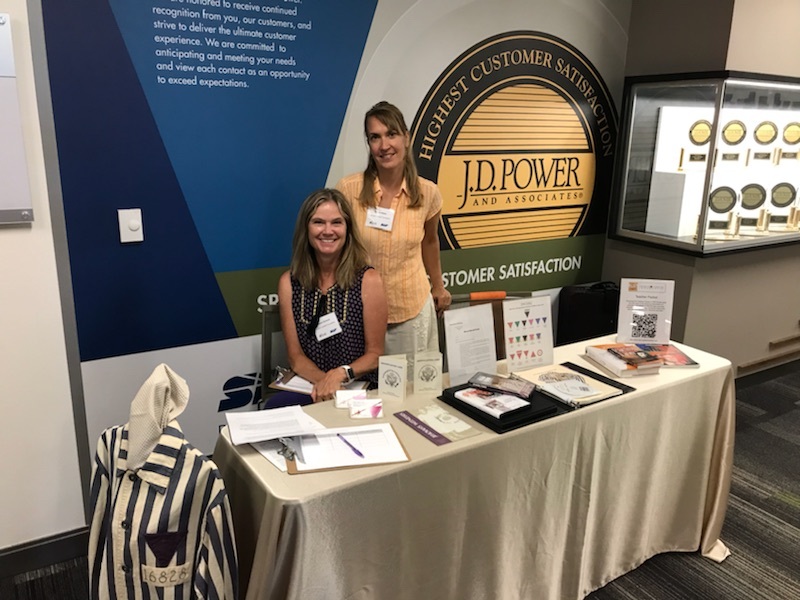 The 2018 Symposium on “Holocaust and Music” took place on the Appalachian State University campus. The Arnold-Liebster Foundation contributed information for educators about the Nazi persecution of Jehovah?s Witnesses, including music composed and sung by Jehovah‘s Witnesses in the concentration camps. Skype conference with students and Simone Liebster. Skype conference with 35 students and members of the community. Skype conference with 130 8th grade students and Simone Liebster. Skype conference with 199 6th grade students and Simone Liebster. Skype conference with 100 8th grade students and Simone Liebster. 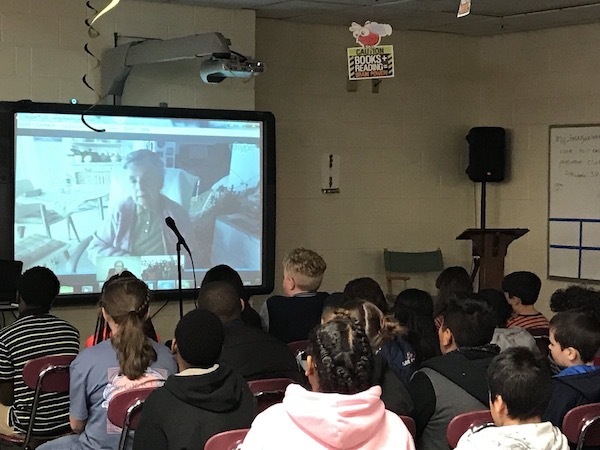 Two Skype conferences with 140 6th grade students and Simone Liebster. 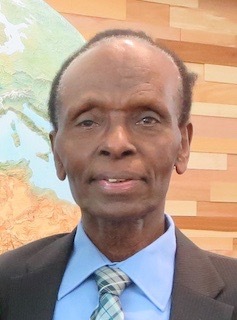 The Arnold-Liebster Foundation contributed educator resources about the Nazi persecution of Jehovah’s Witnesses for the Teacher Workshop: Propaganda. Skype conference with 130 7th grade students and Simone Liebster. 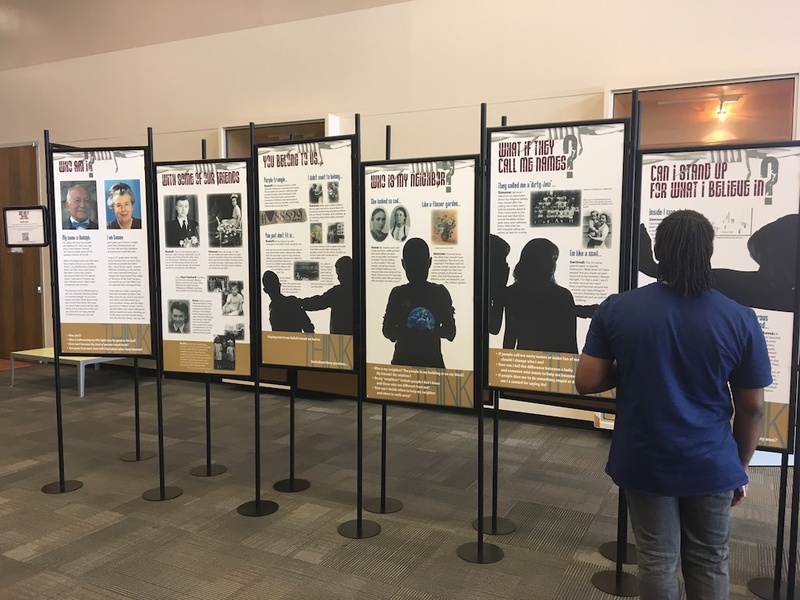 The 6th Genocide Awareness Week was held on April 9-14. The Arnold-Liebster Foundation’s presentation “Who Am I? 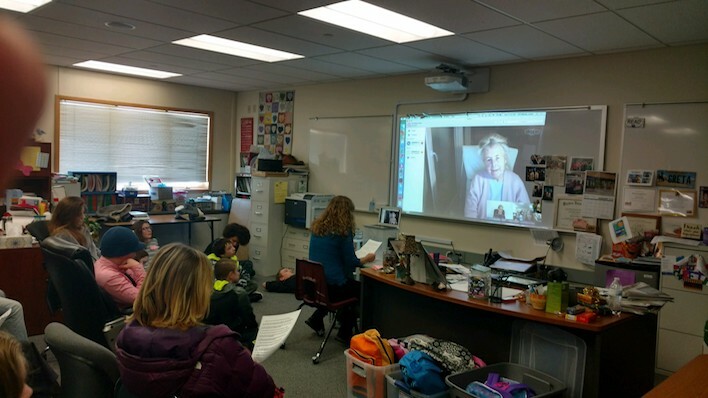 Faith Under Fire” by Renee Ochsner and Kristin Dickman Walter featured a Skype interview with Holocaust-era survivor Simone Liebster in France. 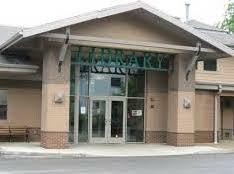 121 attendees visited an exhibit table and viewed the traveling exhibit Who Am I? Young Minds Forced to Choose which is on display in the Student Center through April 30.
Who Am I? Young Minds Forced to Choose is on exhibition from April 1-30. Skype conference with 80 10th-12th grade students and Simone Liebster. 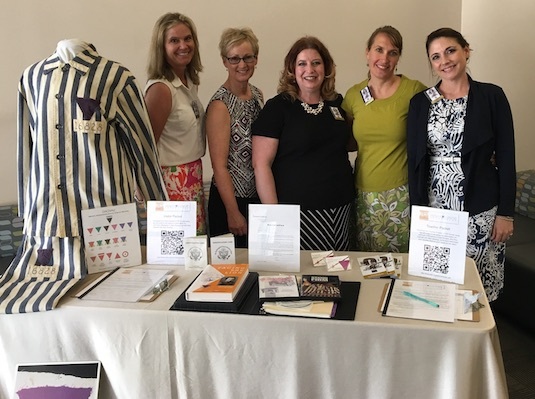 The Arnold-Liebster Foundation contributed educator resources about the Nazi persecution of Jehovah’s Witnesses for the Teacher Workshop: History of the Holocaust. Simone Liebster spoke with 29 7th-grade students at the 2nd Annual Rowan Salisbury Holocaust and World War II Humanities Conference. Skype conference with 45 5th grade students and Simone Liebster. Skype conference with 25 5th-8th grade students and Simone Liebster. Skype conference with 77 10th grade students and Simone Liebster. 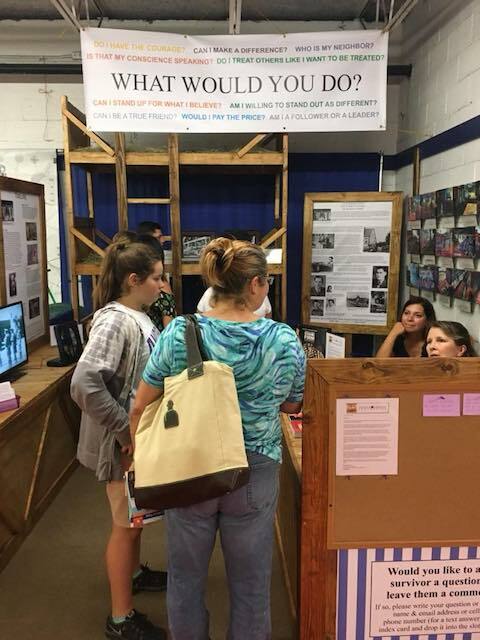 Designed for educators and students, the Arnold-Liebster Foundation’s exhibit booth presented the history of the Nazi persecution of Jehovah’s Witnesses. Handouts and classroom resources were provided. Skype conference with 26 8th grade students and Simone Liebster. The Arnold-Liebster Foundation contributed educator resources for the Teacher Workshop: Propaganda. The Arnold-Liebster Foundation contributed educator resources for the Teacher Workshop: History of Anti-Semitism.